One of the aspects of being a history teacher that I love is that history is literally all around you. No matter where you are, the place where you are standing has a history waiting to be discovered. The only drawback is that it often takes a considerable amount of time and effort to uncover that history. That is where the Field Trip app saves the day. 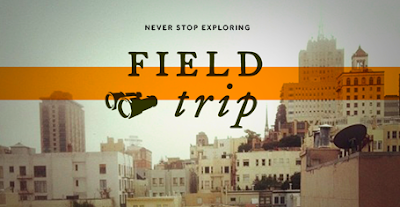 I have had the Field Trip app loaded on my phone for a while but hadn't really taken the time to take it for a spin. 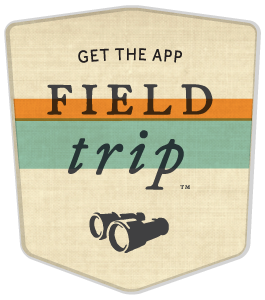 (The Field Trip app is available for both Android and iPhone). This past week I was in Washington DC working on a project with Cable in the Classroom and thought it would be a perfect time to fire it up and see if I could discover some interesting things while I explored DC. I found it to be very helpful and provided one of the highlights of my trip. The Field Trip essentially determines your location and then provides you with interesting tidbits relating to that area. You can turn on a variety of layers - most of the layers that I have selected fit my interests of history and architecture. Some of the other topics that appear are offers and deals, food and drink, cool and unique, etc. Notifications appears showing information, links and photos. You can customize the settings to fit your needs. I enjoyed using the app throughout my stay in DC including reading up about the history of Reagan National Airport while waiting for the Metro (I didn't know that the the airport is on the former Abingdon plantation owned by the Custis family with ties to George Washington) and it helped me find a great place to eat near DuPont Circle (the short ribs at Circa were awesome). The most unexpected and surprising moment came as I walked back to my hotel at the end of the day. 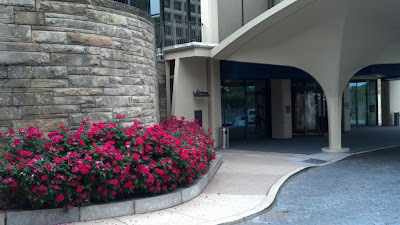 I was staying in the Washington Hilton - a really nice hotel but it doesn't scream historic location because it is rather modern. As I walked up the hill toward my hotel I saw that Field Trip had an entry for the hotel under the layer provided by Open Buildings. 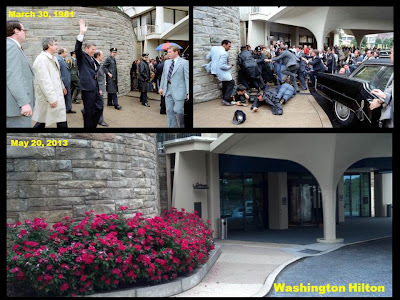 As I read through the information I saw something which grabbed my attention - the hotel was the location of the 1981 assassination attempt on President Reagan. I remember the assassination attempt well. 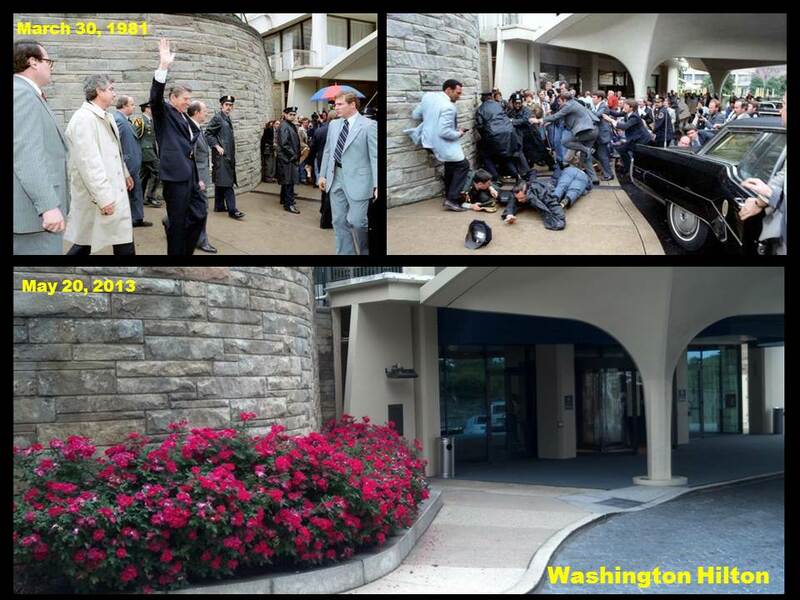 I was 10 years old and can still remember watching that clip over and over again on the news of the secret service throwing themselves on Reagan to protect him and then shoving him in the car to get away. 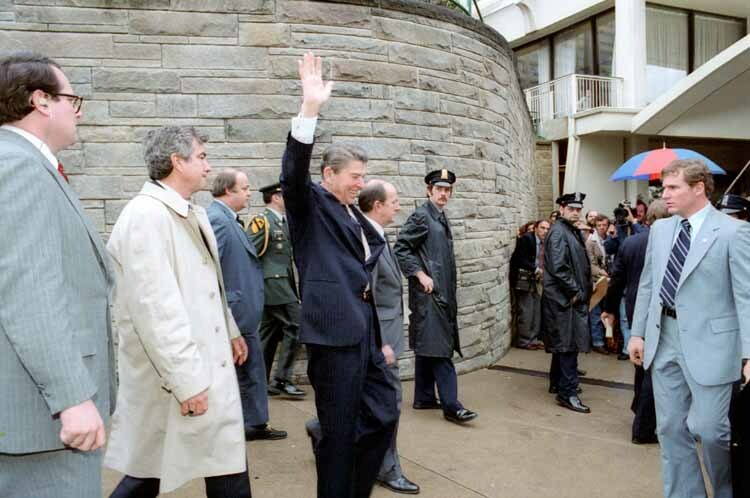 On my phone I pulled up the Wikipedia page on the assassination attempt and found the images taken as Regan waved to the crowd and then the aftermath after the shots were fired. I had walked by that location earlier in the day when I checked in and had no idea that the event had taken place on that spot. There were understandably no signs and markers on the spot, it would be odd to commemorate a failed assassination attempt on your property, but it is an important part of American history. I asked the bellman at the front desk about the assassination attempt and he provided me with a little additional information about how a flower bed had been added on part of the sidewalk since 1981. The next morning after breakfast I went out to the location of the failed assassination attempt and took a few pictures. As a history teacher, this little historical tidbit made my day. I would have never known about it without the Field Trip app and I would have walked on by while missing a chance to discover the importance of that location. Theses examples are just a few of many times during the day that I felt lucky to have Field Trip on my phone. My head is also spinning about the potential of not just using Field Trip but also creating content for Field Trip with my students. I will be investigating if my students could create a layer for Field Trip with historical photographs from around our community of Liberty, Missouri. Students would enjoy helping build content which could then be enjoyed by a larger community.